In Basking Ridge, New Jersey, a sprawling campus brings thousands of Verizon workers together for a bike team building event. 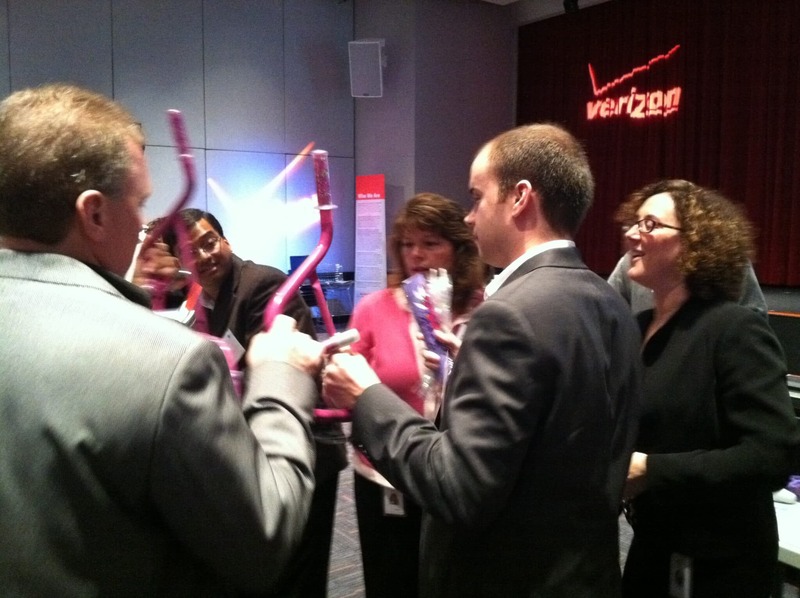 On a glorious fall day about 150 Verizon employees poured into the auditorium to get revved up for new ventures, by doing a little team building. Are they a competitive group? Oh, just a bit. In fact they probably play as hard as they work. On this day, their competitive nature helped build 22 bikes for kids who need a little boost in this down-turned economy. Verizon’s business continues to expand, grow, and create a larger footprint in the telecommunication’s world. And for all they have – they are grateful. In fact giving back to their communities is part of their mantra. Folks who help kids on scholarship in the after-school program of the YMCA came to say thanks and talk about the kids in their care. They were bubbling over with thanks and couldn’t stop talking about what a huge gift this was for their kids. 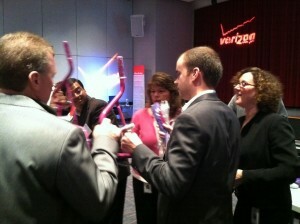 Wheeling out 22 bikes to help make their kids smile, made the folks at Verizon who built the bikes, smile even bigger. Janet Schijns, Vice President of Verizon’s Business Solutions Group, told us that the Build-A-Bike program surpassed expectations, adding that she wants to do more. By Connie Timpson/Sr. Instructor/Performance Coach/The Leader’s Institute covering New Jersey and New York Team Building Events.